Acclaimed as Quebec's fashion hub, Place Ste-Foy is home to over 135 boutiques and stores, many not found anywhere else in Quebec. Famous Canadian, American and European brands are available here including Simons, Birks, Sephora, Apple, Zara, Lacoste, Marc Cain, Banana Republic, lululemon athletica, Marciano, Michael Kors, Pandora, Aritzia and Signature Maurice Tanguay. Located at the gateway to Quebec City among the many hotels and stores along Laurier Boulevard, Place Ste-Foy is near Métrobus Place Ste-Foy and has free parking for 3,000 vehicles. This constantly evolving property strives to ensure the outstanding experience and quality customers demand. 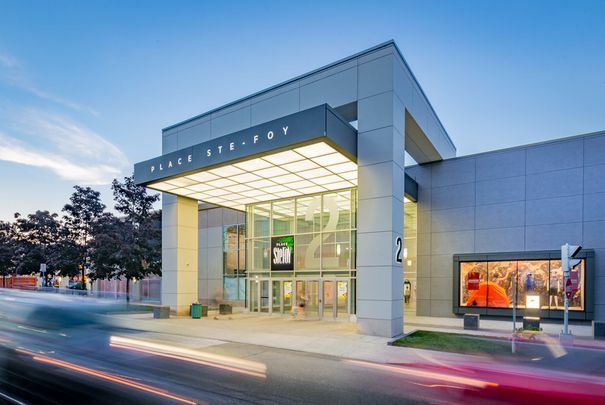 Place Ste-Foy is pleased to welcome some 8,6 million shoppers every year. Place Ste-Foy (including all components, parking facilities and exterior property) is privately owned.